Albert A. Earnest began a career repairing Carriages, Buggies and Wagons. Having access to transportation, he was often called upon by undertakers for the use of his livery service. In July 1900, he established A.A. Earnest Undertaker and Embalmer, the areas first Funeral Service. His son, A. Barrett Earnest, followed in his father's footsteps and renamed the facility Earnest and Son Funeral Directors and Embalmers. As the business expanded, a new building was constructed on the premises, followed by additions after World War II. In the coming years, third generation Funeral Director, Barrett A. Earnest, operated the business until it was sold in December 1964. The new owner, Ed Wolfe, renamed the facility to Edwin N. Wolfe Funeral Home. 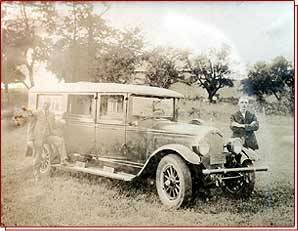 Mr. Wolfe, well renowned for his technique at Restorative Art and Embalming, carried on the fine reputation as Funeral Director, and continued to operate the Facilities Ambulance Service until it was discontinued in the early 1970's. In January 2000, the Funeral Home was sold to Peter von Geis, a second generation Funeral Director, who was appointed President/Supervisor of the Corporation. Peter became licensed in March 1984, and supervised the family business, formerly known as the Paul E. Von Geis Funeral Home in Wilkinsburg, PA. In August 1994, the Family business in Wilkinsburg was sold and Pete became an associate with Mr. Wolfe in Export, eventually becoming his hand-picked successor. With pride and professionalism, Wolfe - Von Geis Funeral Home, Inc., continues a second century of thoughtful and dignified service to Export and the surrounding communities.